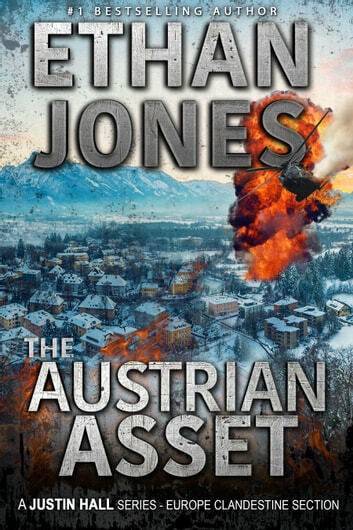 **Bestselling author Ethan Jones returns with The Austrian Asset, in his heart-stopping Justin Hall spy thriller series. Justin and Carrie have just been transferred to the European CIS section when a rogue asset with potential ties to ISIS disappears in Vienna, taking a cache of secrets with him. While tracking him down, Justin and Carrie discover a pivotal piece of intelligence - a terrorist plot that would plunge the continent into chaos. Can the team reclaim the lost intelligence before a devastating terrorist plot is cranked into motion? Find out as you enjoy The Austrian Asset. "A very nice book indeed. Having been in Europe as The Defence Attaché at that time as indicated in the story, I was hard put to wonder if some of the incidents were not actuals because they did really happen. Bravo Ethan." "Ethan Jones really knows how to create and develop his characters and storyline. All of his books are “can’t put it down” quality!" "Fast-paced with plenty of action, double-crosses, explosions, and revenge"
"This book is one of the most detailed stories I've read in a long time. No, this is not a bad thing because every word, sentence, paragraph, and chapter follows as it would in any great book, especially in this genre." "I wish there were 100 books in this Justin Hall series!! Great books, writing, storytelling with twists and turns galore!! Buy this book!!" "Justin and Carrie are back and they're taking Europe by storm. A mile-a-minute thriller, this book will keep you guessing with every page you turn." The Austrian Asset is the perfect pulse-pounding suspense thriller, barreling along with the breakneck speed of Thor and the jam-packed action of Baldacci. Fans of Tom Clancy, Daniel Silva, or Lee Child will love this adrenaline-drenched espionage thriller spanning the globe. Scroll up, click/tap and start the adventure now! 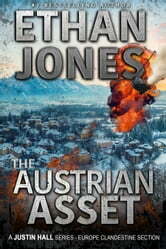 The Austrian Asset is the tenth book in the Justin Hall series. This can be read as a standalone. But since each book builds on the previous storylines, I recommend that you read them in order. There is violence. The book blurb adequately describes the storyline so I'm not going to repeat all of that info here. This is a well crafted thriller. The author did a good job of keeping a steady pace throughout the book to keep this reader interested. It kept me guessing what twists and turns would be revealed in the pages ahead. As usual, nothing is quite as it seems on the surface. I really enjoyed this book and had a hard time putting it down. Justin and Carrie are back and they're taking Europe by storm. A mile-a-minute thriller, this book will keep you guessing with every page you turn. Everyone has a hidden agenda and no one is quite who they seem to be. The plots and counter-plots kept me deeply engrossed to see what would happen next. Even though they're assigned to the European division now Justin can't resist playing in his old sandbox, so don't worry, he's still up to his same old tricks. I'm already looking forward to seeing what the next mission has in store for them. I received a complimentary advanced copy of this book. Well our favourite hero(s) are back and this adventure is as good as it gets!! Lots of action and fast paced! Mr. Jones delves into the mind of the terrorists as well as the agents. An excellent read!! I highly recommend this book! !